It's been a crazy summer, and October flew by in a flash, just as the birds prepare for the winter along with the squirrels and chipmunks. 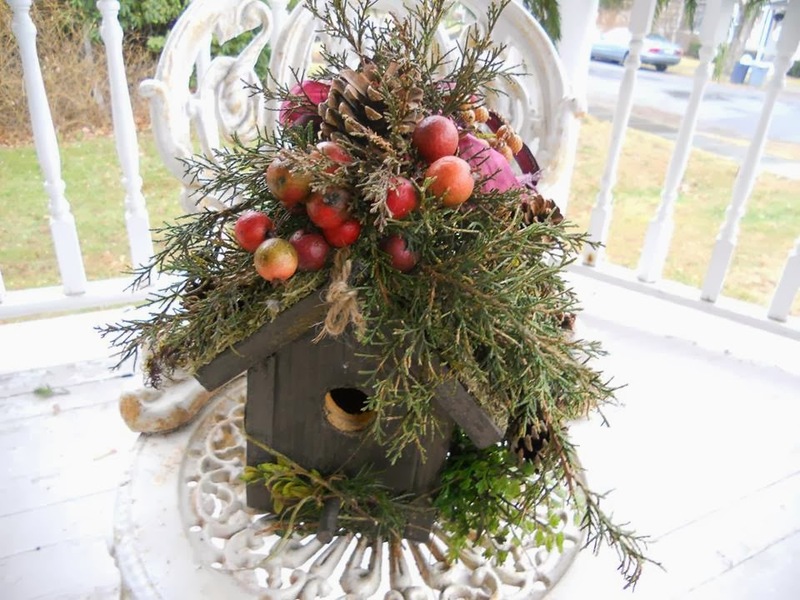 But the Talented Chics of the Arty Tea Party Guild are gearing up for a few more events for the holiday season. The neverending Art Journal Swap/Hop will definitely come to an end with the end of 2014. Whoever is not finished by Dec. 31, is just not getting their book back!!! JUST KIDDING! Passionfruit Na Pali...I enjoyed those first. Yummy! But you can find them here Hawaiian Tea. Stay tuned for the final look at the Neverending Art Journal Swap/Hop by the Talented Chics of the Arty Tea Party Guild. for the gals of the Arty Tea Party to have a Watercolor Batik class on Unryu paper. Sweet Rosebud Sandy provided the instruction with the papers all prepped with a flower image. First layer of watercolor and now the wax. After your first layer of watercolor, you take the melted soy wax and brush it around on the places where you want your next watercolor layer to resist. Add more layers of watercolor...dry...more wax flicks if you want...more watercolor...dry...and the ending step in the process is to iron off the wax between newsprint or other (non-colored) paper. The end result is quite lovely. And each is so unique. Drying time is the time for brunch and garden walks. Nina is known for her love of lavender. Here is a purple trinity garden with 3 different types of lavender. I like to lay my pillowcases here to dry. There is so much to see here and we haven't even made it back to the pond yet. Thanks to Nina for hosting such a wonderful event at her garden estate. And many thanks to Rosebud Sand'ar' for providing all the supplies and instruction. It was a happy day all around! So much interaction in this book treasure. identify themselves in the hop! Spring has finally sprung and the awesomely talented chics of the Arty Tea Party under the tents of HAPPY HERBS SOAP are taking flight! The whole gang will be there; Nina, of course with all of her fabulous smelling handmade soaps and magickal botanickal incense blends, including some really cute clay kite pins made special for this event. She will have lots there that is not available online, (including my fave soap blend of hers Lavender/Patchouli). Also joining us will be Kitty Mitchell from the pages of Art Doll Quarterly with her latest Mixed Media creations; Victoria with her beautifully painted gifts; Sandy "Rosebud" Scarano with her Victorian treasures; Alicia with some jewelry; Judie with her latest sun catching stained glass art; Andrea has been getting back in the beading groove and has some of her paper beads to share, too. And I, Vicki, hula~la, will be putting out some of my Altered Book Journals. Please stop by and take a look. 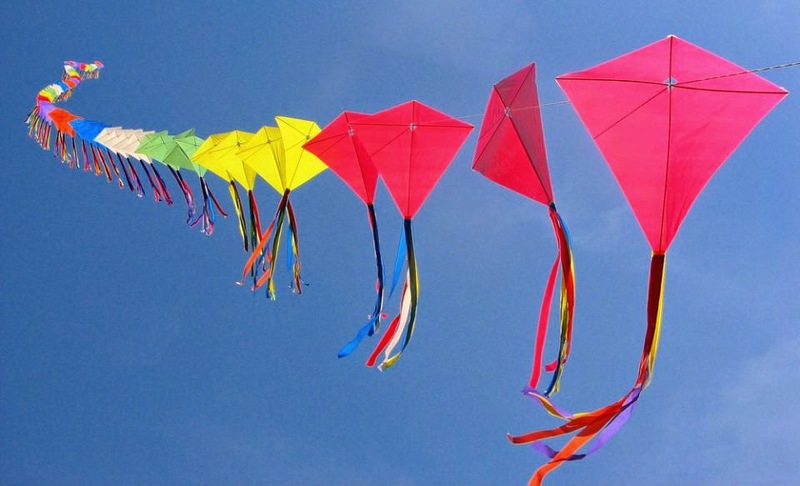 First 200 children receive FREE KITES! This weekend, a few of our gal pals from the Arty Tea Party took a watercolor batik class at the Wallkill River School. Here are Kitty and Nina drying their works of art. Looks like they all did a wonderful job! And now, they can show the rest of us how to do it, who couldn't make it to the class! Meet Miss Marrissa Rose and pet bird, Little Blue off to the village for fresh worms. Funny how our Kitty, one of the gals from the Arty Tea Party creates a cat for her latest ADQ challenge. Kitty has many talents and we are grateful to have her as part of our guild, and to have her share her techniques and talents with us! You can find her among many pages of ADQ. Keep up the good work Kitty! Stay tuned for more from the Arty Tea Party Guild as we break out for the Spring and Summer Fairs/Festivals. Another sneak peak at Andrea's paper bag book for the Art Journal Hop/Swap. I especially love the unique way everyone jazzed up their business cards to show who participated in sharing their art styles with Andrea. There are 10 of us who started our own altered books and they have been traveling from one to the other as everyone gets a chance to add to each other's books. Deadline is approaching for all books and all pages to be done...May 1st! So get on it ladies, and GIT 'R DONE! 1. Seems crazy to think that we were under this very gazebo not too long ago painting in the sunshine with the floral scents Two Crow Cottage gardens surrounding us! 2. With all the snow we have here in New York, it may be awhile before we can venture out for another Arty Tea Party. 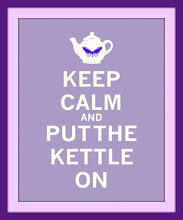 But the kettle is always on, and we are gearing up for the busy spring and summer events when we take our Arty Tea Party on the road. 3. During these snowstorms, Nina is busy shifting around her soap room and re-vamping the clay studio in the loft. 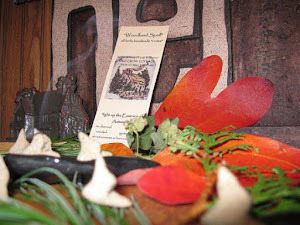 I am currently burning her "Winterspell" incense as I write this for the group of talented chics. 4. Andrea is nursing a fall from snow skiing out with her little darlings. No doubt, she is crocheting something gorgeous with her leg up, sipping a nice apricot brandy, I hope! Cheers My Friend! 5. We had a lovely time at the Valentine's Day Boutique sponsored by the local library where Nina always finds books to read, and I always find books to alter. We have such a great time when we all go out together and put up our wares! Yes, what fun, indeed with Victoria, Kitty, Judie, Nina and moi, hula~la Vicki. 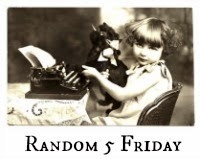 I'm linking up for Random 5 Friday...on Saturday. Hope you will stop by to visit Nancy and the gang at A Rural Journal. We are happy to be joining Vicki at 2 Bags Full for this terrific event! Thank you, Vicki! Starting with Nina, the Proprietor of Happy Herbs Soap at Two Crow Cottage. At Two Crow Cottage, when Nina is not tending to her many gardens, she can be found in the soap room whipping up some of her fabulous herbal soaps and all natural incense. The wonderful smells when Nina opens the door to her humble abode will ground you and let you know that you belong. Here is a glimpse of just a few of her drying racks and her wonderful incense crows preparing for flight. 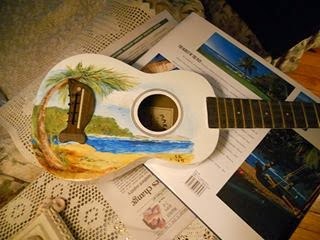 ukulele with tiny copper strings! From miniature glass boxes and ornaments, to mirrors and many other gorgeous glass creations...this flower pot is AB FAB...Absolutely Fabulous! Nicely done, Judie! Can I get an Aloha here or what??? Nicely done, Sister. You deserve a lei and a pineapple! Her home is Victorian through and through, beginning at her front porch. 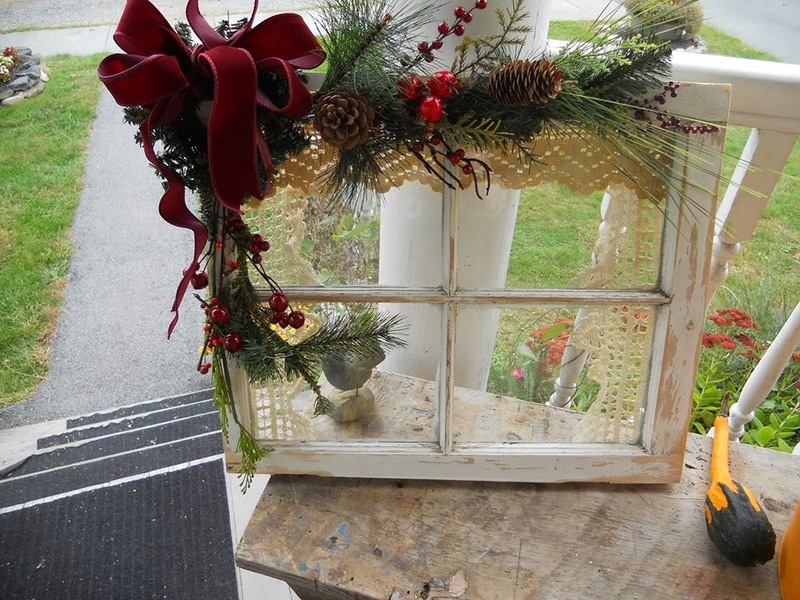 There is no end to Sandy's creative touch. Next up we have Kitty who can be found regularly on the pages of Art Doll Quarterly. 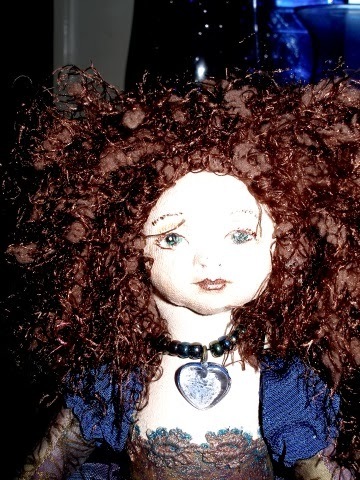 Her dolls come with such incredible detail and personality. The best part is you get to name them yourself. You can see some of Kitty's work, Santos Doll on page 75 of Art Doll Quarterly Aug/Sept. issue, and her very cool Captain Hook in the current November issue of Art Doll Quarterly. WAY TO GO, KITTY! Dear Andrea's gardens belong in a magazine, but she makes time for us to share her intricate crochet flowers that match the beauty of her gardens. There are many other members of our Arty Tea Party Guild. Pour a cup of tea and take a look around the blog for other party members and their works. Thanks for stopping by!